You will NEVER see me eat mac-n-cheese but I will eat Spaghetti with Parmesan and Butter any day. This recipe is so simple and delicious I had to post it. I love it because when your cupboards are bare and you have nothing to make you will most likely have these ingredients on hand to cook up a delicious dinner. 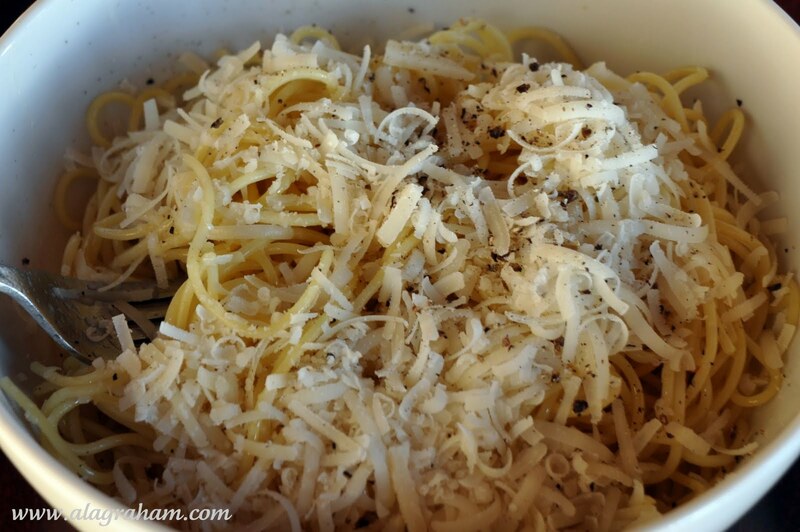 Make sure you use real Parmesan from Italy. I know you can buy Parmesan from Wisconsin for 1/3 of the price but expect to get 1/3 of the flavor. 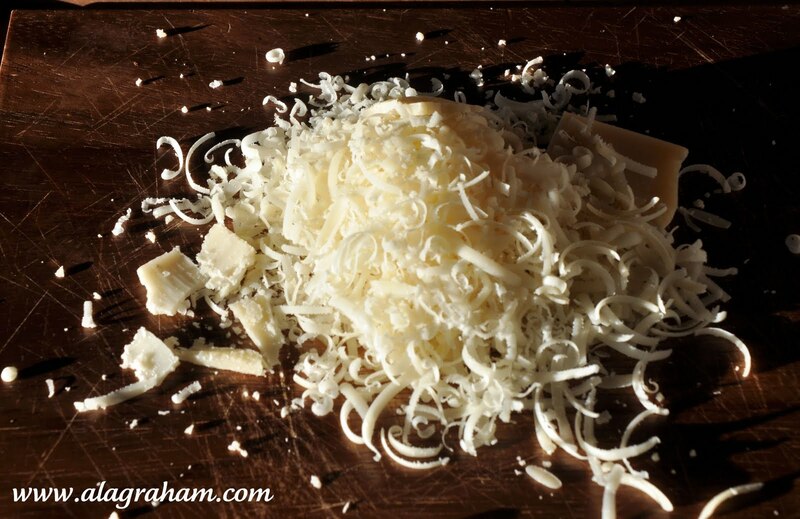 Trust me there is a big difference...especially in a meal like this where Parmesan is center stage, it counts. Cook spaghetti according to package directions. I usually cook 1 minute less than recommended time for al dente pasta. While spaghetti is cooking, finely grate the Parmesan and cut the butter into small pieces. Put half the Parmesan and all the butter in a large bowl. 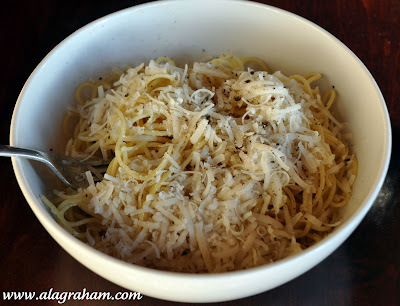 Once the spaghetti is cooked, drain water and add the hot spaghetti to the bowl with the Parmesan and butter. Toss well. Add pepper and finish with the rest of Parmesan. That's incredible!! Spaghetti burro e parmigiano! So simple, so good!! Love, Yammy! !